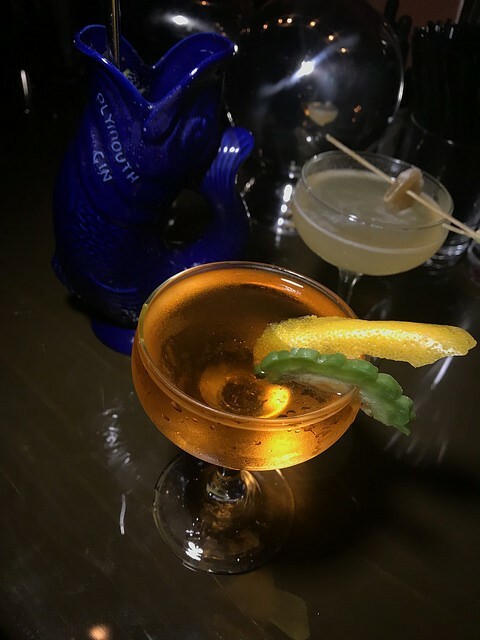 Located on a very street art friendly block, Genever LA, recently opened. The gorgeous bar is women owned and led. I love that the owners were able to open with the funds from a kickstarter campaign. With a name like Genever, you can expect a lot of gin and genever on the menu. You might wonder about the Filipino connection since the bar opened in Historic Filipinotown. As it turns out Filipinos drink a lot of gin. i always imagined it was a more tropical drink country (think rum) but they also drink gin! That’s good for us as we’re getting into our warmer months soon and a refreshing cocktail or two is in order. A friend opted for the Lost Angel for the bitter melon. I thought it was a lovely drink that was just different enough. My friend however felt the various spirits may have overwhelmed the delicate drink. I thought of this as a really different sort of Negroni variation. My other friend ordered the Diamond and Pearls which had all sorts of tropical fruit in it including coconut and sago. 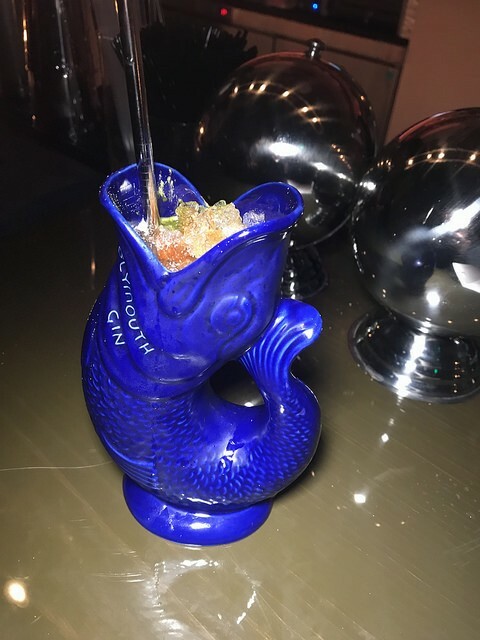 It’s served in a cool Plymouth gin tiki mug. And yes, the Plymouth gin was infused with green tea. I was excited to spot Major Tom on the menu as it’s the first drink I’ve seen with the new Italicus liqueur. I fell in love with this last year when I first tasted it at Wine and Spirits Wholesalers of America (WSWA). I also hadn’t had any gin from Barr Hill in a while and they have such lovely gins. I enjoyed my time at the bar and want to return to try a few other drinks. Parking is a bit tough in the area (we were warned off of the empty parking lot out back) so I highly recommend using a rideshare service. 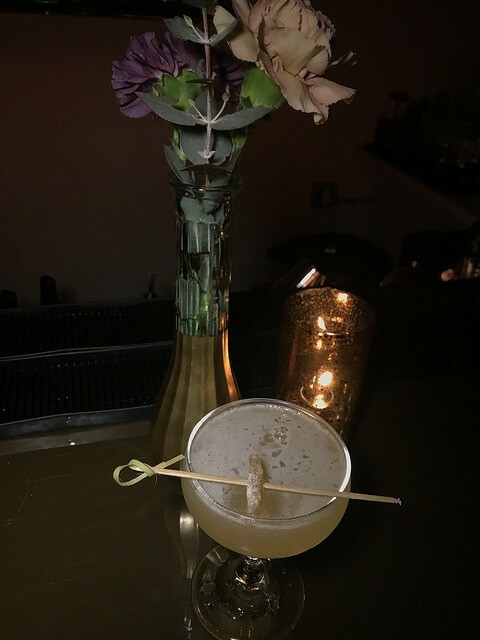 Others I want to try include the Vice Versa (Dorothy Parker gin, strawberry and pink peppercorn shrub, hibiscus syrup, egg white) and Butterfly in the Sky which sounds so interactive! Butterfly in the Sky is made with butterfly pea flower infused Aviation gin, yuzu tonic, lime, Scrappy’s lavender bitters.